Apple today released the second public beta of an upcoming iOS 11.3 update to its public beta testing group, one day after seeding the second beta to developers and two weeks after releasing the first public beta. Beta testers who are members of Apple's beta testing program will receive the new iOS 11.3 beta update over-the-air after installing the proper certificate on an iOS device. Those who want to join the beta testing program can sign up on Apple's beta testing website, which gives users access to iOS, macOS, and tvOS betas. iOS betas are not always stable and should not be installed on a primary device. iOS 11.3 is a significant update that introduces multiple new features like Messages on iCloud for storing your iMessages in iCloud, and ARKit 1.5, a new, upgraded version of ARKit that can more accurately map irregularly shaped surfaces and recognize and place virtual objects on vertical surfaces like walls. Four new Animoji are available for the iPhone X (lion, skull, dragon, and bear), the Health app has a new Health Records feature where you can store your medical records, and AirPlay 2 features are available in both iOS 11.3 and tvOS 11.3. 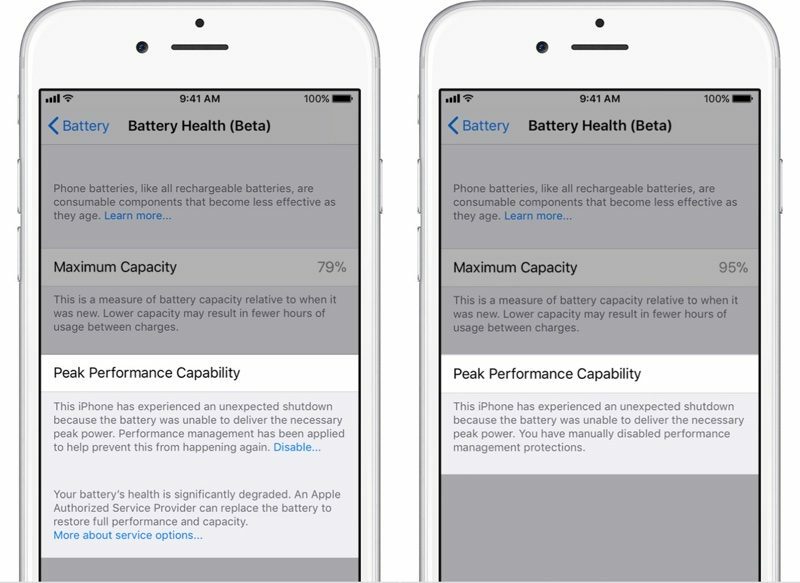 Starting in iOS 11.3 beta 2, the update includes a new "Battery Health" feature that's designed to provide iOS users with more information about their batteries. Battery Health offers details on maximum battery capacity and peak performance capability, and for devices with degraded batteries, it provides information on if and when a device is being throttled with performance management features. It also provides a way for customers who do have a device with a degraded battery to turn off performance management all together. By default, iOS 11.3 disables performance management on the iPhone, and the feature is only re-enabled once a device experiences an unexpected shutdown. Other new features in iOS 11.3 include an Apple News "For You" section that displays the top videos of the day, Advanced Mobile Location (AML) for sharing more accurate location data when placing an emergency call in a supported country, and a new Privacy icon that will show up whenever Apple asks you for info. iBooks has also had the "i" removed from its name, so it's just "Books" now, and in the App Store, you can sort app reviews by rating and date. Business Chat, which will let you interface with businesses like Wells Fargo, Delta, Hilton and Lowe's right in the Messages app is coming when iOS 11.3 is released, and improvements to Apple Music will bring better support for music videos. Apple says iOS 11.3 will be released to the public in the spring. No it was not in the first. False. Was in the first beta which I am running now. I've been ignoring the "update available" for 11.3 beta because I have read too many reports of wifi being broken (secured networks). Anyone found if that is fixed yet? wondering what its going to say about my iPhone 7+ battery. Is iMessage in iCloud included in this public beta? I think it was in the last one. The stock battery in my iPhone 7 purchased in September of 2016 is at 89% max capacity according to the new beta. A bit too soon to confirm if it’s still broken. Yeah, you’re right. My mistake. Tough day today. I apologize. Re: the battery 'management' function. See! These are the types of "innovations" we get when we band together and cause a public uproar. iPads have never had any power management due to battery aging implemented so iPads are not part of this nor will they get this feature. Just what Apple has stated. Dam it Apple, why no Cycle count info on that screen. WHY?!?! Maybe I am not following this closely, but is there any change at all for "Books" (other than the name changed from iBooks to Books)? I am curious because I use iBooks heavily on my iPad and iPhone. There is an article (sorry can’t find it right now) that the Books app will have a redesign in the near future. It will be like the new app store. Heavy user of Books to.